Legend has it that the sage Raibhya Rishi did severe penance and, as a reward, God appeared to him in the form of Rishikesh. 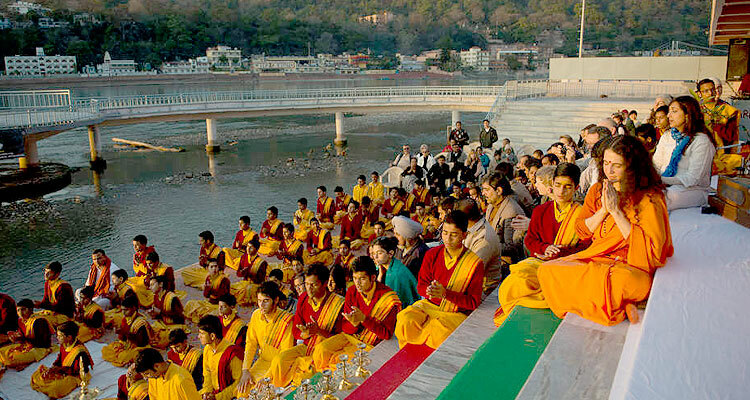 Rishikesh also represents the site where Lord Vishnu vanquished the demon Madhu. 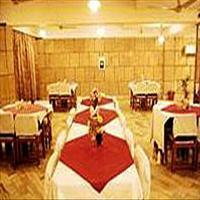 The place is known as the Tapo Bhumi or the place for meditation of the Gods. Tapovan, on the other bank of the Ganges, houses a temple to Lakshmana. It is believed that Lakshmana, the younger brother of Lord Rama, carried out penances here. The Neelkanth Mahadev temple is believed to be the site where Lord Shiva had drunk the venom that came out during the churning of the ocean. 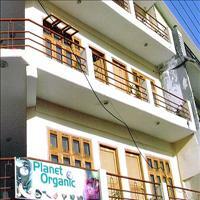 In the 1960s, the place came into limelight as the place where the pop group Beatles met their guru, Maharishi Mahesh Yogi. 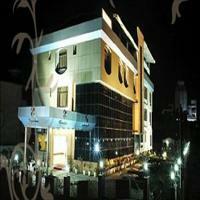 Rishikesh is located in the northern part of Uttar Pradesh. 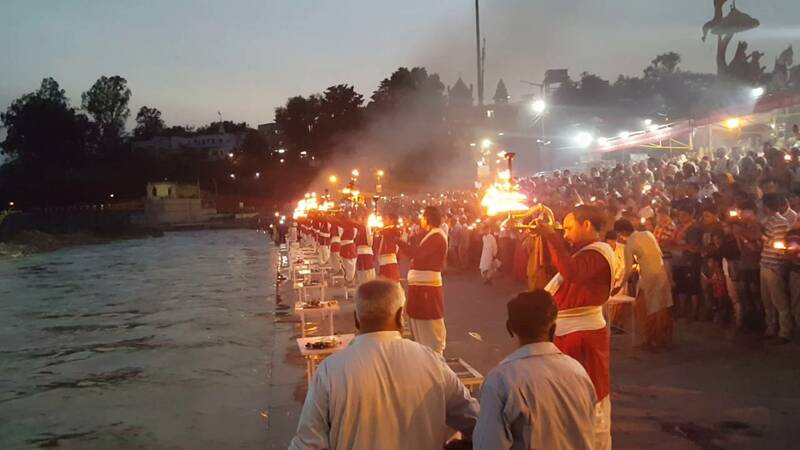 It is 238 km northeast of Delhi and 24 km north of Haridwar and spreads on the right banks of the Ganges, at its confluence with the Chandrabhaga stream. 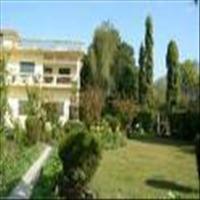 It is surrounded by hills on three sides and is perched at an altitude of 356 meters above sea level. Mythology says that in the ancient times when the ocean was being churned for 'amrit' (Potion for immortality), first venom oozed out. 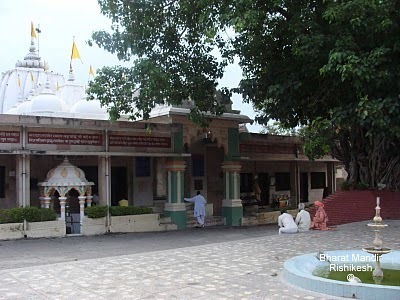 Lord Shiva drank the venom at a place, which is now called Nilkanth Mahadeo. It is 12 km from Rishikesh and is surrounded by peaceful forests. The challenge of violent rivers is no less than that of the rugged mountains. The icy heights of the Himalayas are the source of some of India's mighty rivers. Fed by innumerable streams, they race along tortuous boulder. This suspended iron bridge was built in 1939 and has been a major attraction among the tourists. 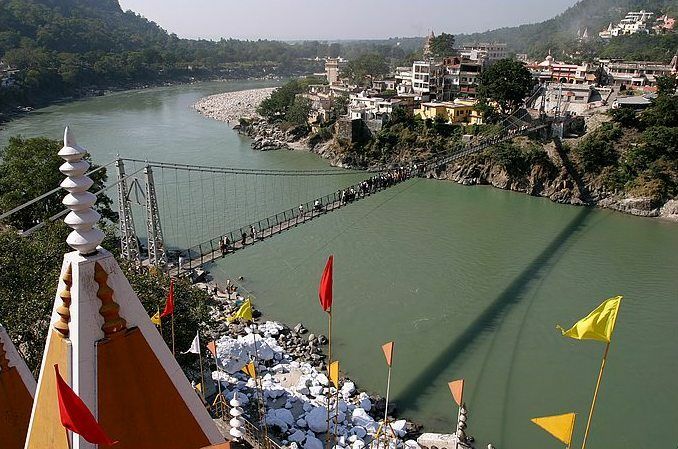 It is said that Lakshman crossed Ganga on jute ropes between the places where this bridge is built. 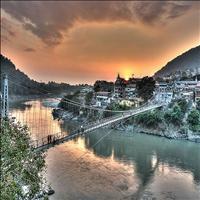 Ram Jhula- The other suspended Iron Bridge was recently constructed between Shivanand Ashram and Sawarg Ashram. Built by Adiguru Shankra Chrya around 12th century, Bharat mandir is situated in the heart of the old town on the Banks of the Ganges. 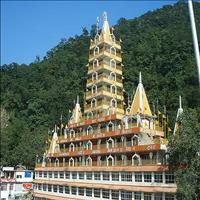 Detailed account of this oldest temple of Rishikesh is available in ancient record of Kearkhand. The Inner sanctum of the temple has the idol of Lord Vishnu, carved out of a single 'Saligram'. 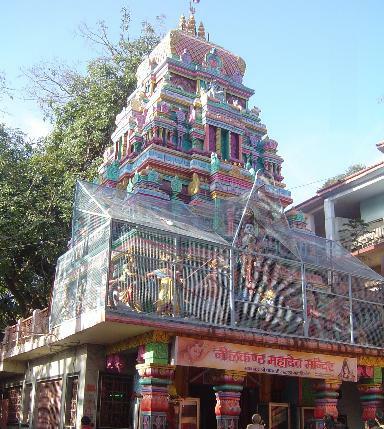 In the inner canopy above the idol is Shree Yantra installed by Adi Shankraya Charya. The original temple was destroyed by Tamur lane in 1398 A.D. Lot of old statues, coins, pots and other things of historical importance were found in recent excavations in the premises of the temple. Close to Trivenighat is the most ancient place, the Rishikund. 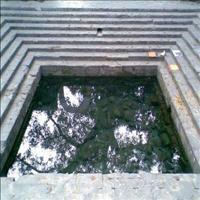 Ancient records relate this to Kubz Saint, who was blessed by the Goddess Yamuna by saturating this pond by its water. The pond reflects the temple of Ragunath, dedicated to Lord Rama and Goddess Sita. 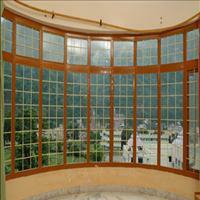 Uttaranchal stands tall amongst the many beautiful and spectacular places in India. 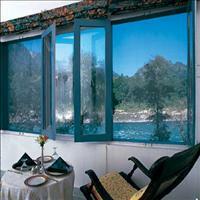 The state is blessed by nature what with its rugged landscapes, mountains, dense forests and picturesque rivers. Enjoy skiing on the snow-clad mountains, trekking in the forests, mountain climbing and river rafting while touring in this beautiful as well as adventurous state of India. Hard rocks, steep mountains, deep valleys and a beautiful scenery. The Himalayan adventure gives you the best of the thrills along with the beauty that it has always had. For all the adventure seekers visiting India paragliding is a must indulge in. 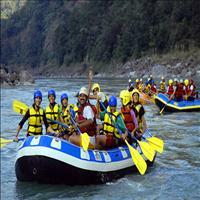 Welcome to the rugged and adventurous side of India: Rafting in White Waters. 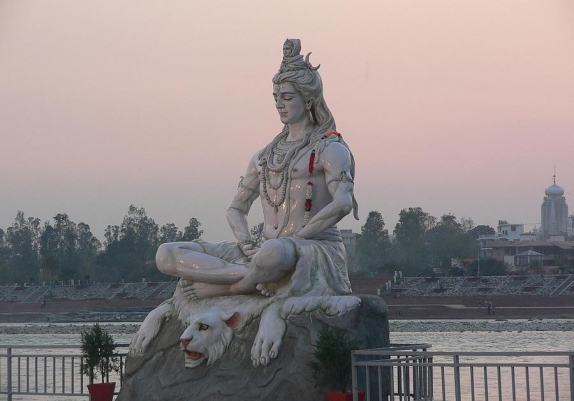 The pious River Ganga mostly flows calmly, but it is in Shivpuri, near Rishikesh in Uttaranchal that the waters gush with mighty force making it an ideal locale for River rafting. The other River is the mighty Brahmaputra that acquires various names as it takes turns flowing down from Tibet to the northeastern part of India. It is Siang and then turns in to Brahmaputra. 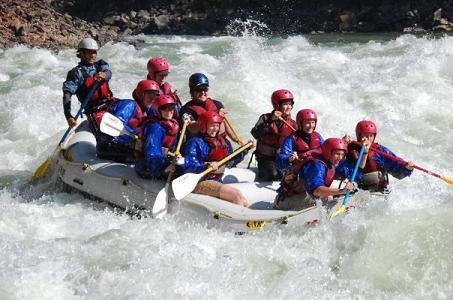 Exploring this wild and rugged country and rafting some of the most challenging white water sections on this planet, is truly a memorable experience. The valley of Flowers, a natural wonder, declared as protected national Park, came into lime light only in the 1930s. 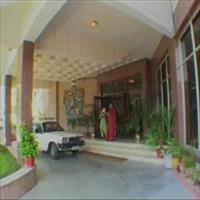 The vibrancy of colours and fragrance that is found in abundance here is what allures tourists from all over the world. 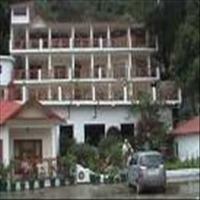 This unique rock garden, the Valley of Flowers, of Garhwal is full of the most fascinating, fabulous and rich variety of flowering herbs. According to the legends, the Valley of Flowers has been associated spiritually with the name of &apos;&apos;Hanuman&apos;&apos;, the legendary hero of Ramayana, the great Indian epic. 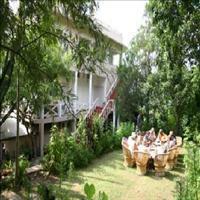 This itinerary is specially designed for those who would like to combine adventure and beauty of nature. 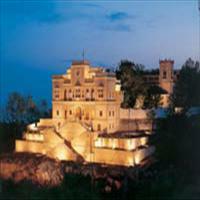 India is one of the best tourist destinations in the world. 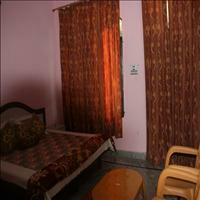 It has to offer much more than just a visit to the Taj. From snow capped mountains to the deep coral sea beds and from vast deserts to dense forests, India has everything for an adventure seeker. From River rafting to Jungle safaris to a Balloon safari and much more is on offer for adventure sports. Combine them with the famous Golden triangle and you have had it all! !